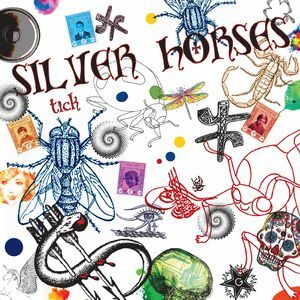 In 2012, Silver Horses, a British/Italian Blues Rock band featuring Tony Martin (Black Sabbath 1987-1990 and 1993-1997) released their critically acclaimed debut album. The band combine elements of Whitesnake and Rainbow and the ballad ‘Suddenly Lost’ became a favourite across Europe. Five years later and the band return with a new singer in Andreas Ranfagni. The band feature Gianluca Galli (Mantra / Time Machine) on guitar, Andrea Castelli (Mantra) on bass and Mateo Bonini (MGRB) on drums. Tony Martin re-joins the band on ‘Tick’ to add his unmistakable vocals and song writing skills to two songs and ‘The Company of Snakes’ vocalist ‘Stefan Berggren’ also guests and contributes lyrics to three of the tracks. This release is never going to win any awards for inventiveness, however what it does, good old fashioned classic rock, it does rather well. The opening track ‘Heat And Snow’ tries to bring an element of sophistication into the song with a Piano lead-in, but it doesn’t really work, as it is pretty empty, so we are relieved when Andreas kicks the song into gear with his screaming lead vocal. Then its back to good old hard rock N roll for the next few tracks, there’s some great guitar work on this opus, especially on‘Before The Rain’ which features a great riff. ‘Hang My Head In Shame’, the first of two to feature Tony Martin, adds a bluesy edge to the hard rock overtone, perfect for Tony’s vox. The mix of acoustic and rock guitar features in a couple of the tracks and adds to a nice change of pace. ‘I don’t want to say goodbye’ is a powerful ballad, with a great vocal and guitar. Andreas Ranfagni really grabs these songs by the neck with his powerful and passionate vocal, and he needs to, as Stefan and Tony really do shine on here. ‘Tick’ is a solid release for those of you who like the Classic Rock sound, though it won’t ruffle any feathers in the music world, it is worth putting on your wanted list.